How to recycle in Saudi Arabia? 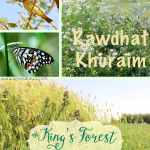 This question is often asked by people interested in ways to make life in Saudi more environmentally friendly. Here are 10 easy and simple ways everyone in Saudi Arabia can recycle and conserve the environment. 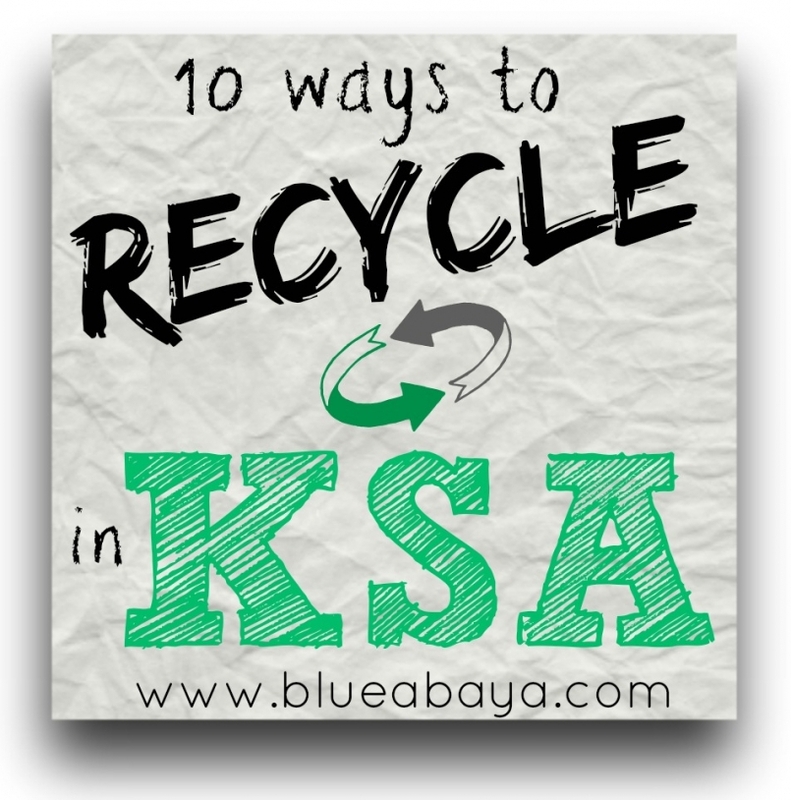 10 Ways How to recycle in Saudi Arabia. Sometimes we go about our daily lives without giving things much thought and just continue doing stuff the way we’re used to. However, once we look closer and think about it from another POV, a lot of the things we do are just pure madness! We can do so much better! 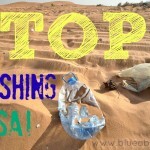 It’s time to start thinking and acting to stop the littering madness! The single most efficient thing everyone in the Kingdom can do is cut down how many plastic bags they take home from the store. A lot of people like to have their groceries and purchases placed separately in a GAZILLION plastic bags instead of placing everything in one or two large bags. But why? When you think about it, isn’t this crazy? Think-Do you really need all those 20 plastic bags to carry the 21 items you bought? In fact did you know you can fit 21 items into ONE large bag with no trouble at all! The problem is baggers in Saudi grocery stores will by default place only one or two items per bag. This can easily add up to 40-60 plastic bags per average family per grocery shop visit. If the family grocery shops once a week, plus all the additional visits to get few things, adding 20 or so more bags to the total of approximately 80 bags a week. That becomes 400 bags a month and 4800 bags a year! Plastic bags on a fence in Thumamah desert. Multiply that by how many Saudi and expat families there are who are doing this..MILLIONS of plastic bags wasted! For nothing! And those very same plastic bags end up in the streets, in the desert, on the beaches, in the sea. The baggers do it simply because they have been taught not to place for example a deodorant, a bread loaf, cheese or a milk bottle in the same bag. In reality these things do not need separate bags. if millions of people in other countries in the world are able to place everything in one same bag, surely this is possible in KSA too. In order to make this happen, we must re-train the baggers or pack the bags ourselves. Some grocery stores like Carrefour sell large fabric bags you can reuse for your grocery shopping. Most baggers will not know how to use them and might even place the items first in tons of plastic bags, then place inside the fabric bag. Again, you might need to show them how you want it done. Most people in Saudi drink bottled water. Some prefer to always purchase hoards of small bottles which accumulate into mountains of plastic in no time. WHY? This is really not necessary! Buy the large recyclable water bottles from companies like Nestle that offer home delivery and save money and the nature and your back! You can place an order online. If you still want to use the smaller water bottles: after use, rinse bottle, refill from large water container, you can safely use a few times before throwing them away. Change to reusable water bottles made of metal which you can wash, refill from the large water tank and reuse indefinitely. Many Saudi families will have more than one car. 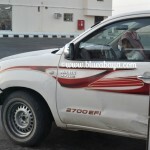 It’s usually the driver’s duty to wash the cars, and the housemaids are the ones who clean the outside areas from dust. And how do they do it? By spraying hundreds of gallons of running water from the hose all over the yard or the cars! WHY?? This is nuts! Don’t have your car washed with running water from the hose. Ask the driver or whoever is cleaning the car to use a bucket and cloth instead. Ask the housemaid to SWEEP the yard once in a while instead of pouring hundreds of liters of water around on a daily basis. Don’t run the water the whole time while showering or brushing teeth and avoid taking excessive baths. Most Saudi families take their thobes, abayas and ghutras to be professionally cleaned and ironed. Every neighborhood has a laundry place or two. When they are picked up, the clothes will each be placed on hangers and inside plastic bags separately. And what do most people do? Throw the hangers away! WHY?? This is really a waste! Don’t throw these hangers away! If you don’t want to reuse them yourself at home RETURN them to the cleaners! Also, request to have multiple thobes/clothing items placed inside one bag, no need for ten separate plastic wrappings. 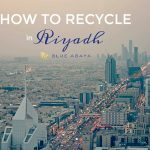 How to recycle in Saudi? Take back the laundry hangers! You can do this in many ways, in Saudi Arabia the large websites for buying used goods are in english expatriates.com and haraj.com (Arabic only). In Riyadh you can visit the Princess Souk ( Haraj bin Gasem) where you will find just about anything you can imagine second hand. I’ve recently discovered a new recycling place in Riyadh where you can take all your waste for handling. The recycle center located in central Riyadh will take your plastic bottles, paper, metal, glass, clothes, batteries and old appliances. For larger furniture and household appliances call them to schedule a pick up. 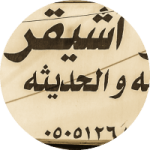 Location and info on this post: Riyadh Recycling Center. There are many collections points around the larger cities where you can take your waste for recycling. 7. Cut back on use of tissues/ mandeel. Before I moved to Saudi Arabia, the Tissue Wonderland, I had probably used tissues a handful of times only in my entire life. It seems tissues are used for pretty much anything and everything in Saudi Arabia, as if it’s an essential item for survival. Tissue boxes can be found in every single room of the house and even in cars. This pointless tissue-extravagance is just mind-boggling to me raised in Scandinavian culture, where we are used to towels, washable wipes and cleaning rags instead of disposable tissues. Reducing usage of paper (preserving the forests we so love) is a central part of our culture and this can be seen in how toilet papers are made from recycled materials and how they’re packaged in very compact, recycled packaging. You will not find many tissue boxes at Scandinavian stores. That’s whysSeeing entire isles full of different brands and types of tissue boxes at Saudi grocery stores was a culture shock for me. I understand that completely cutting out using mandeel in Saudi homes is not going to happen but it’s easy to at least try to reduce how much is being used. Think- do you REALLY need to use them so much? Start by using towels instead of tissues to dry hands, place them in convenient areas. For cleaning use reusable wipes and rags. Dry surfaces with washable kitchen cloths. And for the love of God, don’t get scented tissues, those are the most environmentally destructive ones that you can get! The takeaway restaurants in KSA often use Styrofoam packaging which is extremely harmful to the environment and also for your health. In fact, styrofoam ( polystyrene) has been banned in many countries already due to its detrimental effect on the environment and humans. The probelm with polystyrene is that it does not decompose and it breaks into tiny microscopic particles which travel from the landfills with the help of wind into the oceans. Plankton then eats these particles. Small fish eat mass loads of plankton and also the microplastic particles. Bigger fish eat those plastic filled fish. Humans eat the big fish. So next time you’re having a fish dish in that styrofoam packaging, think about it. Read more about just how awful polystyrene is here. The restaurants in Saudi Arabia use shocking amounts of of polystyrene packaging. One item will be placed in one large container instead of trying to at least save space or opt for environmentally sustainable packing materials. Tell the waiter to pack your food in more smart ways and opt for take out restaurants that use biodegradable packing such as Saldwich. Also, grocery stores in Saudi often pack fruits, cheese, pastries etc. in styrofoam and plastic. Ask to have them just wrapped in plastic wrap which is really all you need! Straws in drinks should be avoided as much as possible. Plastic straws are a major ocean polluter so try to avoid the straws whenever possible. 9. Buy local produce avoid imported goods. There is plenty of good quality local produce available, yet many families always go for the imported, American stuff, just because it’s American. People will pay 50 sar for strawberries imported from U.S.A when a local one would cost 5 sar. WHY?? This is truly madness! Always try to favor locally produced goods, organic produce, whether it be bread, fruits, ice cream or meat you are buying! Imported goods are often overpriced, have gotten damaged or ruined in the shipping process or have bad expiration dates. 10. Don’t throw trash on the streets, beaches, oceans or deserts!! Well this should be a self clear thing. But some people tend to think that someone will come to the desert (or wherever they’re having the picnic) and pick up their trash. This is not true! Nobody will come. The trash will stay there, animals will come spread it, wind will blow the waste even further around the area. The attitude “someone else will pick it up for me” needs to change. Everyone needs to pick up after themselves. Indeed, there are yellow-clad street cleaners around every corner in the cities. That doesn’t justify throwing trash out of car windows. That’s just a really trashy thing to do, period. I know that people can do better. Just think. This culture of trashing beautiful places and littering the streets is actually a relatively new phenomenon which came along with the discovery of oil and Saudi families getting used to having house help. Think-Would you throw trash on your own mother? Of course not. So why are you throwing trash on your motherland? Spread the message! Please share this post with your friends and help them find ways how to recycle in Saudi! Children Are Treasures, Not Airbags or Bullets! Great post and amazing tips! I wish they took this article of yours and posted it in some Emirati newspaper! Whatever you wrote applies to the UAE as well. The problem here is that we have much more expats than Emiratis and many expats especially from underdeveloped country may lack personal culture and environment awareness. They just litter because “it’s not their country (so, why should they take care about it)” or “because it’s somebody else’s job to clean their waste” or because they are used to not cleaning after themselves and it does not even come to their mind to gather the rubbish after the picknic and throw it in the waste bin. 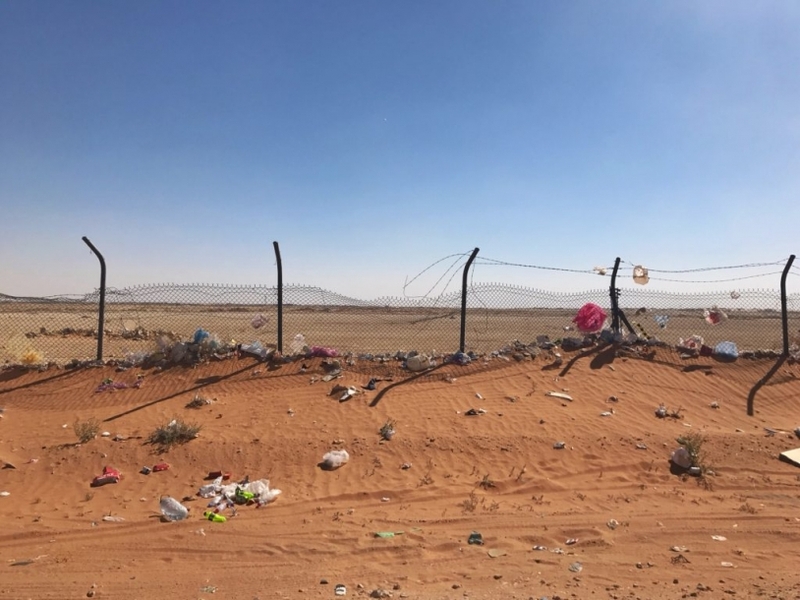 Many Emiratis are not much better – not gathering rubbish after themselves even if they have a picnic with their maids, they just leave rubbish on the grass :( This careless attitude to environment is appalling. UAE is going to face serious problems soon. “Most baggers will not know how to “use” them and might even place the items first in tons of plastic bags, then place inside the fabric bag” This is exactly what happened to me two days ago. I finally bought a Carefour bag only to discover shopping items packed separately in many plastic bags inside of it. I’ll take care to pack my blue Carefour bag myself next time. Regarding bottled water, recently I started to buy those big (5L) bottles instead of a box with 1.5L bottles in it. But still a better solution would be to get a water filter installed. I always gather the laundry hangers and return them. When recharging the phones my husband always does it on-line. Alice-thanks for the great comments! You know that exact same thing happens here too, with the maids taking the garbage outside, have no idea why they do it! When I was 16 and worked bagging groceries, I was taught to never bag detergents, soap, deodorant, etc. in the same bag as food. The reason: If something breaks or leaks, it will ruin the food or, worse, someone will eat the food and get sick. Dogsondrugs-I understand the reasoning behind that BUT the stuff is packed so that it won’t leak..If anything leaks it’s gonna be your milk or yogurt rather than the detergents.. I take plastic bags with me in the car as well for rubbish, handy for bagging it all up to take home or to the nearest bin. First , thank you for what you wrote it is really great. Secondly , how can I now some information about you because I will use this as a source for my report about recycling in KSA. i would recommend a blog in Spanish, of a Spanish lady in Jeddah. Thank you, Laura, for the useful information. Do you know how/where can we recycle lamp bulbs and batteries in Riyadh? i’m guilty of using tissues and the take out containers. although i dont use tissues for wiping the counters and other stuff. i only use them for sneezing. for everything else i use reusable materials . about the grocery bags, you dont actually need to use a bag for everything. use a bag or 2 to fill up the tiny things everything else can be put in the trolley and taken to the car. we have a large bag in the car which we use to transport the groceries into our home. we rarely buy tiny bottled water. maybe only if we have gettogethers at home.all other time we use the recyclable large cans. 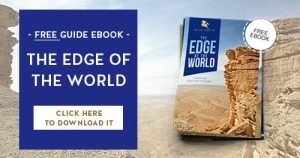 That’s a lot of valuable information here which is an eye-opener to anyone who is interested in making this world an environment friendly place to stay. Perhaps one of the best ways to reduce/eliminate the use of plastic is to utilize eco-friendly or long lasting carry bags while grocery shopping. Problem is convincing authorities to use them instead of having the items shipped into the plastic bags. Hello Laura, thank you for the reduce plastic and recycling tips, and especially the location of the recycling centre. We took a car boot full of cardboard, glass, tins and plastic to the recycling centre. It was immediately loaded into a truck, presumably to be transported to whomever processes these recyclables. I was surprised at the small the volume of recyclables at the centre for a City the size of Riyadh. More of us need to recycle! Unfortunately, we don’t speak any Arabic, yet, and could not communicate with the people at the centre. I am just visiting my husband who been working in Riyadh for 4 months. I would really like to know what happens to the plastic. As an environmental sustainability consultant, I know that a lot of plastic is not recyclable for a variety of reasons. But at least, when we take plastic to a collection place we are separating it from the `dirty’ waste so that the higher value recyclable items – normally the PET water bottles – can be sent somewhere for recycling. There is increasing understanding of how plastic breaks down in the environment and the micro -particles are getting into our food chain and also our drinking water. Because some plastics have chemicals that act like synthetic hormones, eating and drinking plastic is not healthy for us. So it is critically important to manage and better still recycle all plastic waste. Can I share two good news stories which reinforce the positive side of us each doing what we can. We use reusable cloth shopping bags and we have found the packers at the supermarkets are very happy to pack our groceries in them. Even at the fresh food section, the person weighing big items like a hand of bananas or butternut now sticks the label directly on the skin. We also manage to use fewer plastic bags by putting more than one type of fruit into one bag, e.g. apples and lemons together. The operator at the scale puts two labels on one bag. Hi Kim! Thanks for this lengthy feedback! Yes slowly change is happening. The best solution i feel is to force people to think about it by making the bags cost something, at least as starters, then move to other materials and ban plastic altogether.